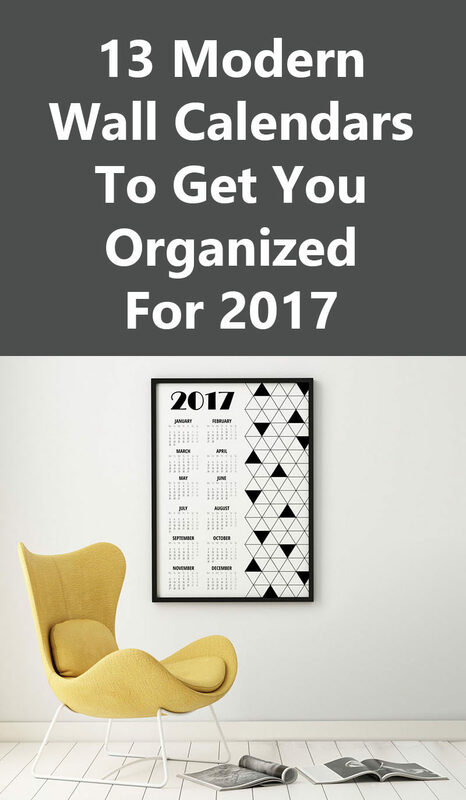 One of the most common New Year’s resolutions, after getting in shape, is getting organized. 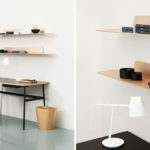 To help get you organized in style, we’ve compiled a list of some modern calendars for 2017 that will fit into any interior and make staying organized that much easier. 1. 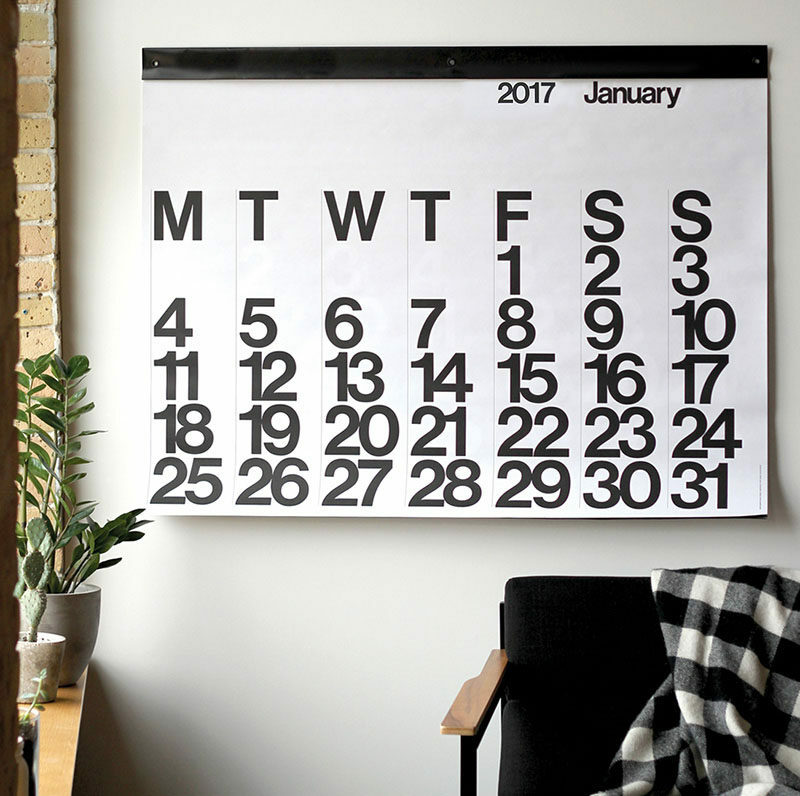 Having this bright calendar on your wall will help capture your attention and remind you of important dates and events coming up. 2. 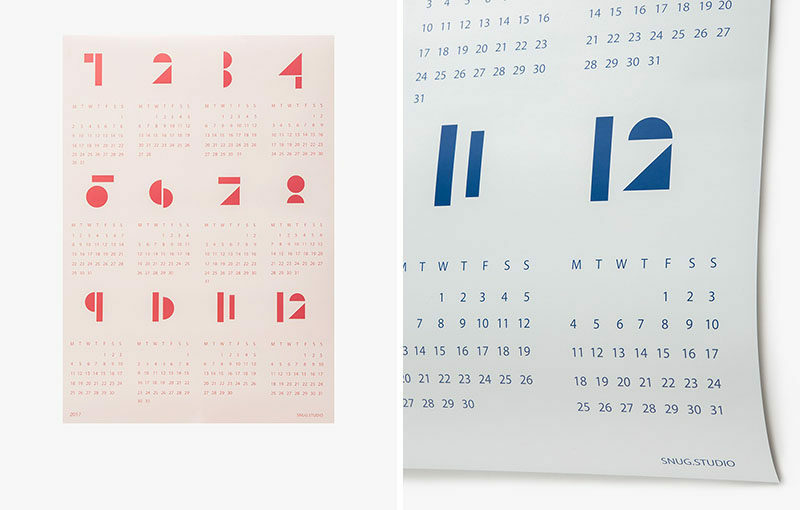 A large minimal calendar like this one will help you keep track of what day it is at a quick glance. 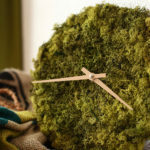 2017 Stendig Calendar – available at Crate&Barrel and Need Supply Co.
3. 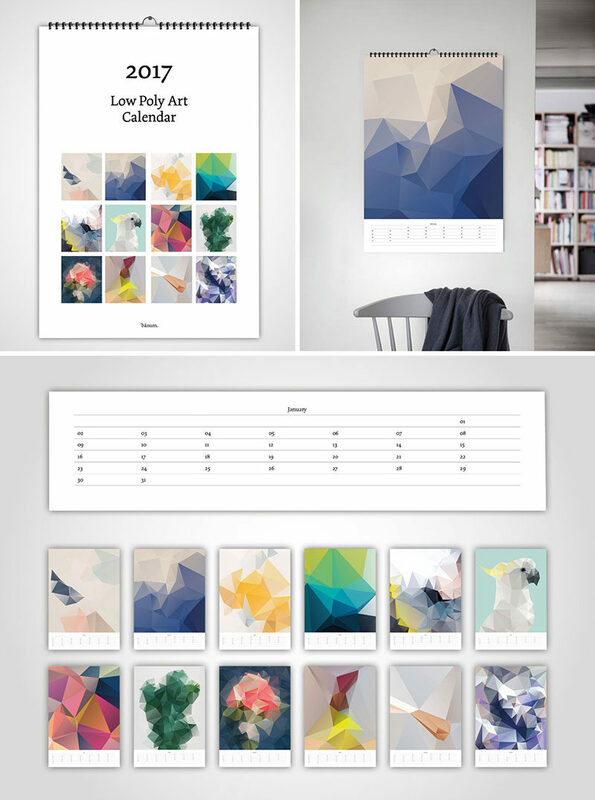 This graphic calendar features 12 geometric designs perfect for the design lover or pastel enthusiast. 4. 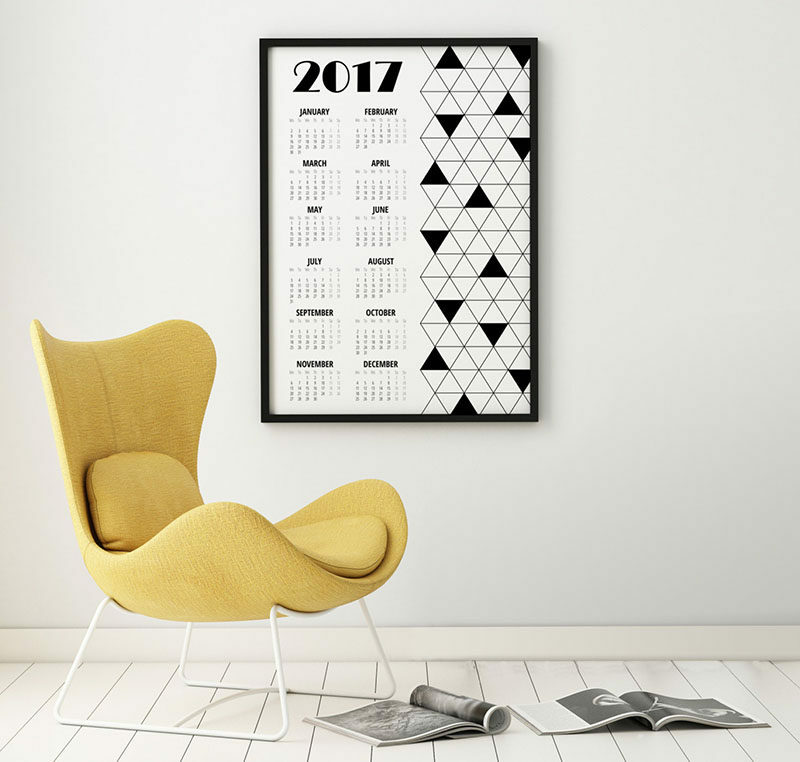 This abstract calendar will keep you on track throughout the year and double as a fun art piece on your wall. 5. 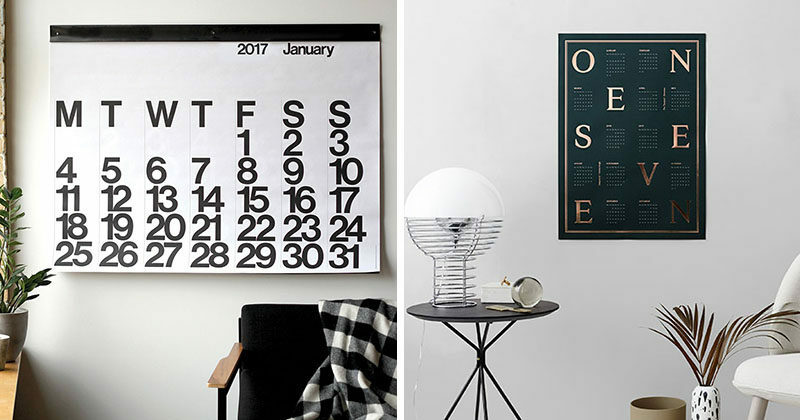 This printable wall calendar with geometric details would be a perfect addition to a modern home that’s in need of a little organizational help. 6. 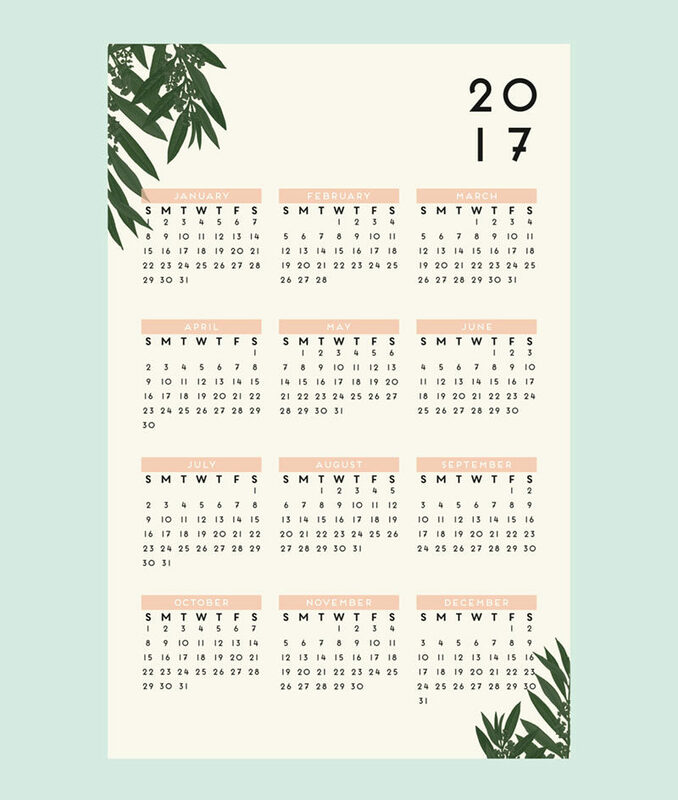 Hang onto the botanical trend all throughout 2017 with this minimal, modern botanical wall calendar. 7. 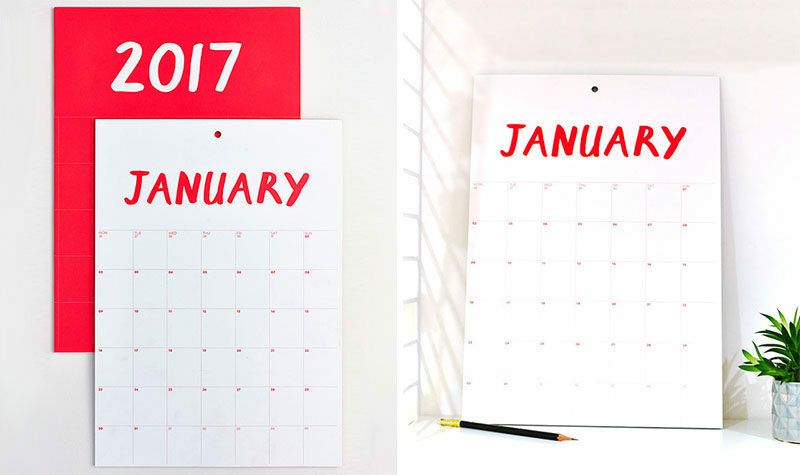 Simple color blocking on this minimalist calendar adds just the right amount of life to your walls and has enough space between the days to write down important dates. 8. 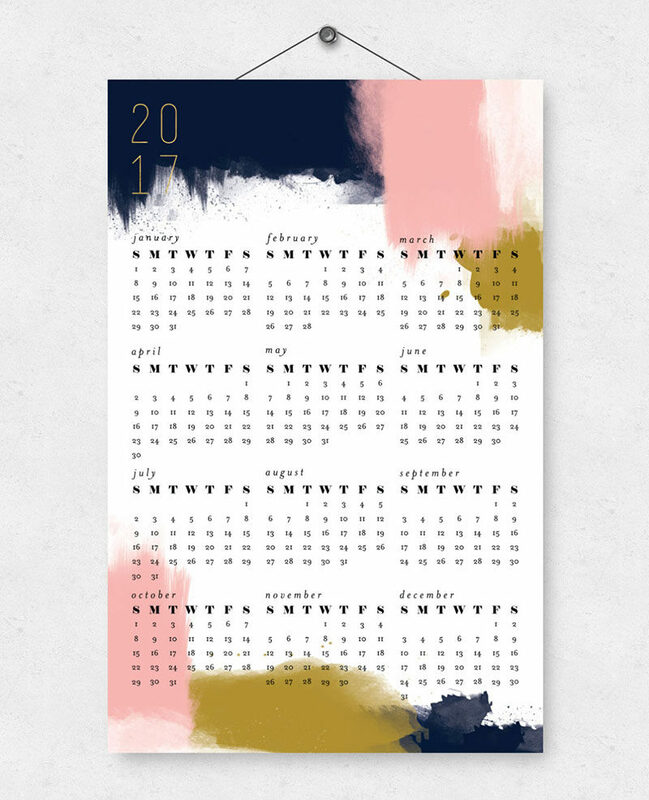 This calendar is available in a few different warm toned colors to add just a bit of color and graphic design to your walls. 9. 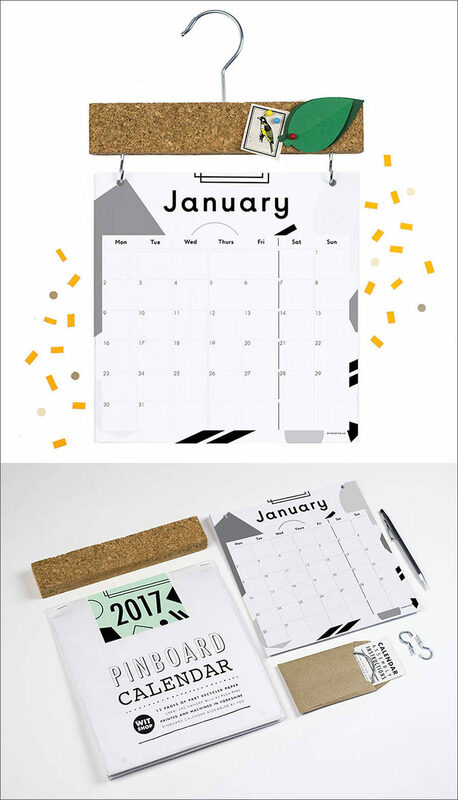 This graphic calendar comes with a pinboard attachment to create a spot for holding notes and little reminders. 2017 Calendar With Pinboard Topper designed by Wit Shop. 10. 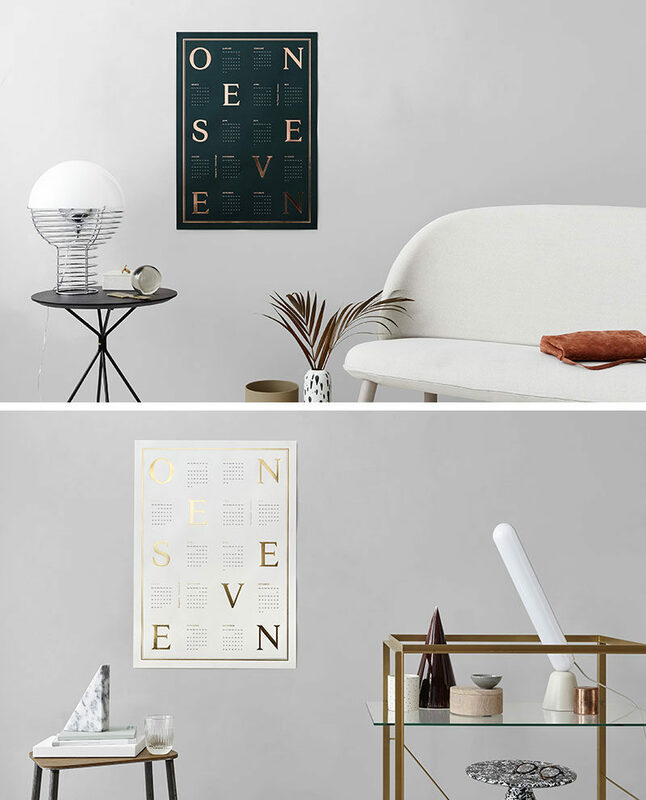 Gold and bronze foiling on these wall calendars gives them a sophisticated look perfect for offices or studies. 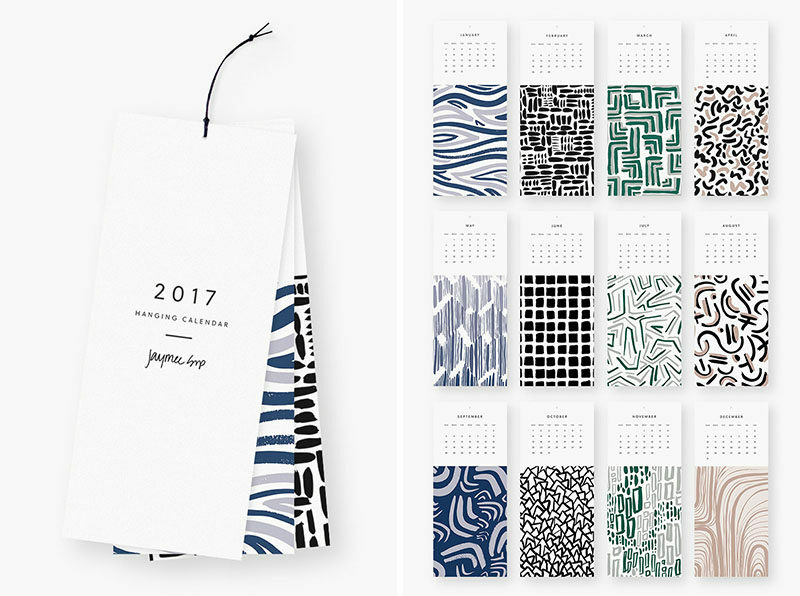 2017 Wall Calendar by Kristina Krogh Studio. 11. 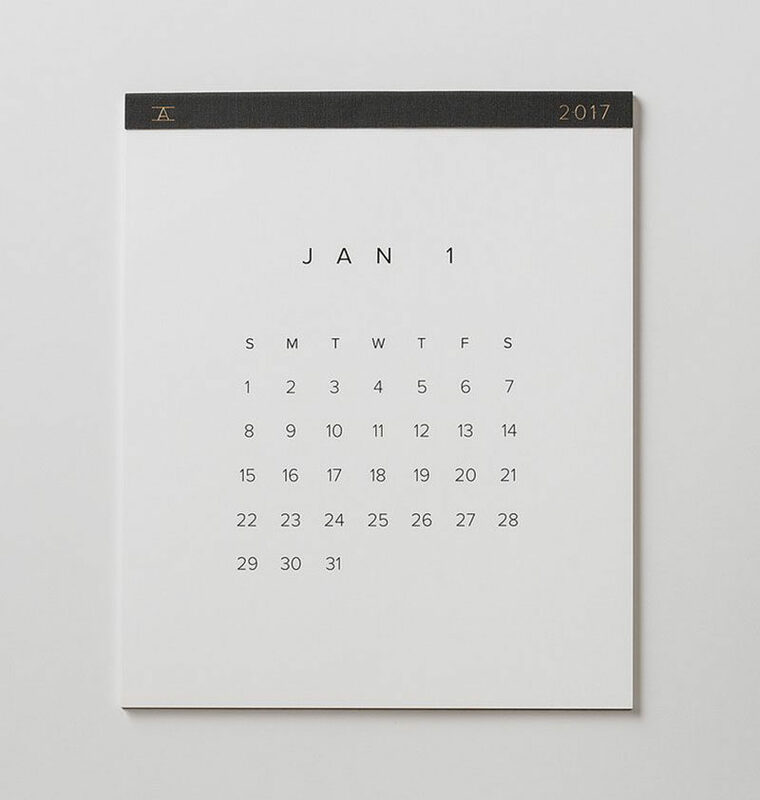 Perfect for minimalists, this calendar has the bare minimum when it comes to details so you won’t feel overwhelmed by lines or designs. Perfect Wall Calendar by Schoolhouse Electric & Supply Co.
12. 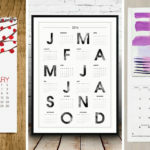 These large wall calendars feature the months in a graphic numerical form to make the calendar a little more interesting. 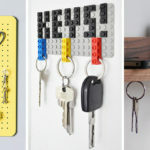 Toyblocks Wall Calendar 2017 from Snug Studio – available from Need Supply Co.
13. 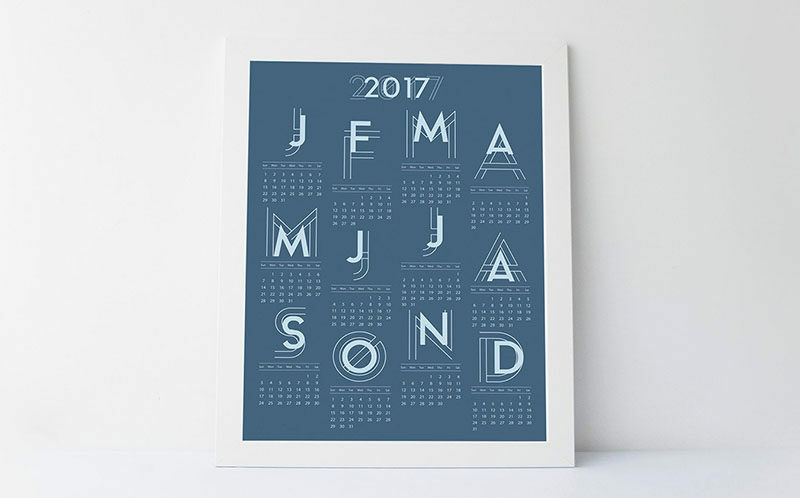 Each month of this calendar has a different artistic print at the bottom that can be cut off at the end of the month and hung to be used as art.